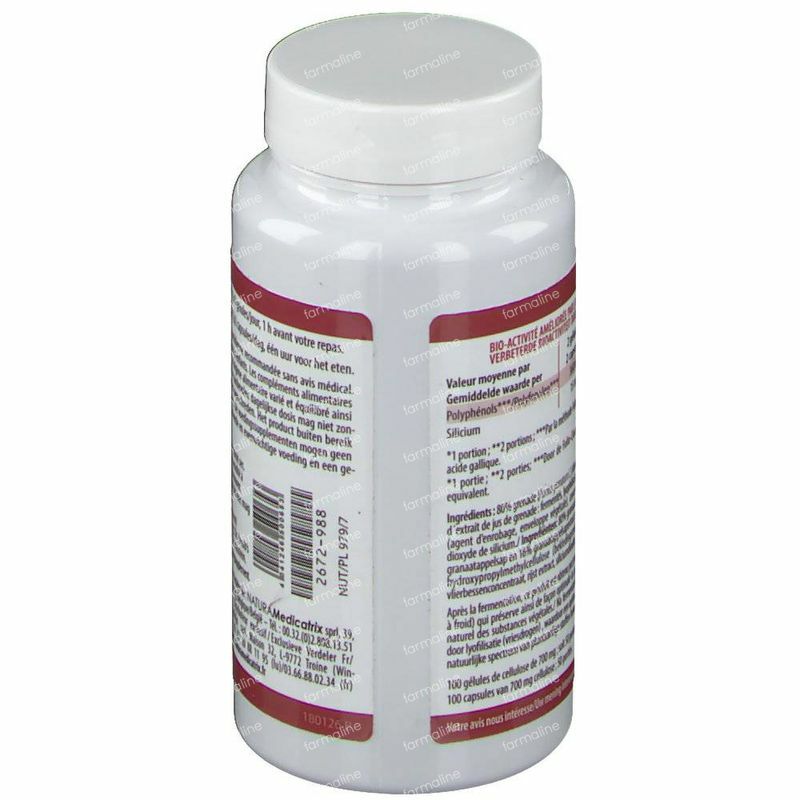 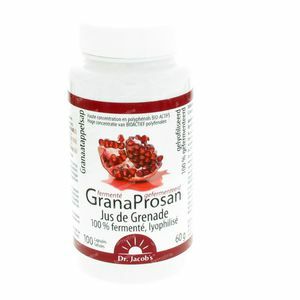 Dr. Jacob's Granaprosan 63 g 100 capsule order online. 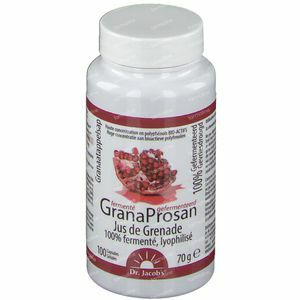 It is the perfect equivalent of the Pomegranate elixir (juice) in capsules. 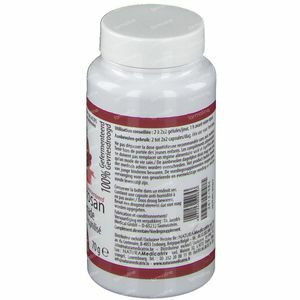 So it is a concentrate of polyphenols, a 100% extract on low heat reduced pomegranates that later lyophilized and live fermented by an exclusive and unique patented process: 4 capsules, is a lyophilized pure extract of 2400 mg of pomegranate juice and pulp which contains 500 mg of polyphenols , thus approximately the same as a 25 cl glass good pomegranate juice. 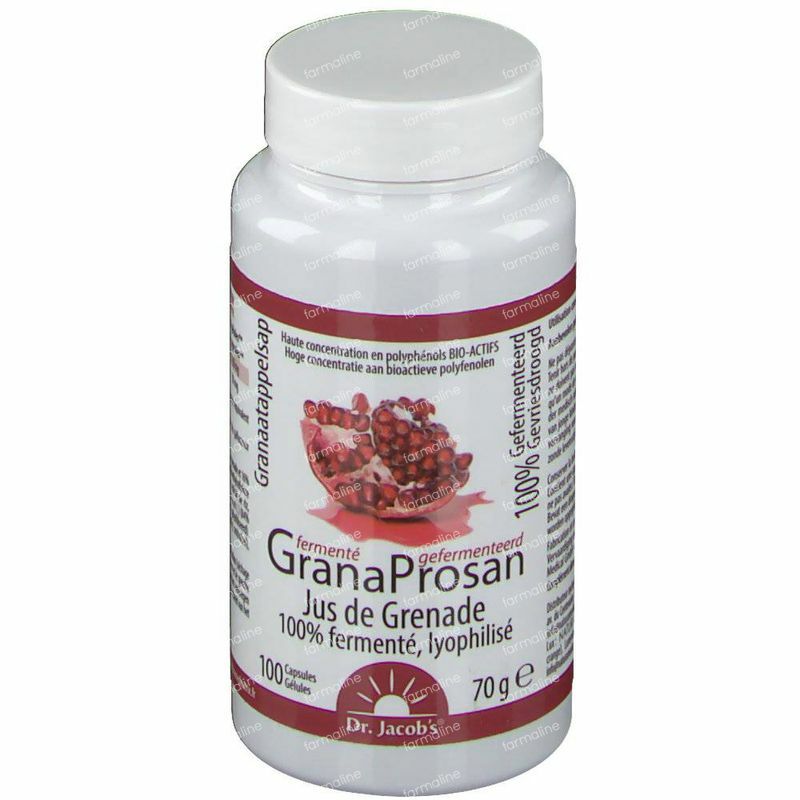 A box GranProsan is equal to almost 25 treatment days if people take 2 capsules a day. 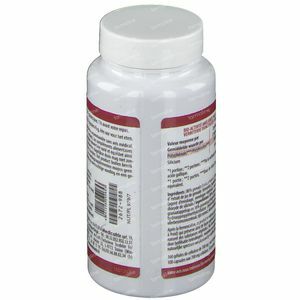 If needed: 4 capsules a day. 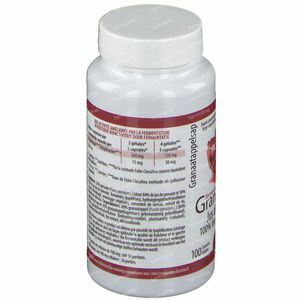 Our advice: a treatment of 2 months, thus 3 boxes. 83% pomegranante (84% pomegranate juice ,16% pomegranate juice extract [with maltodextrine] fermented lyophilized**), hydroxypropylmethylcellulose (plant-based omhulsel), dispergerend agens : siliciumdioxide, magnesium salts of plant-based fat acids. 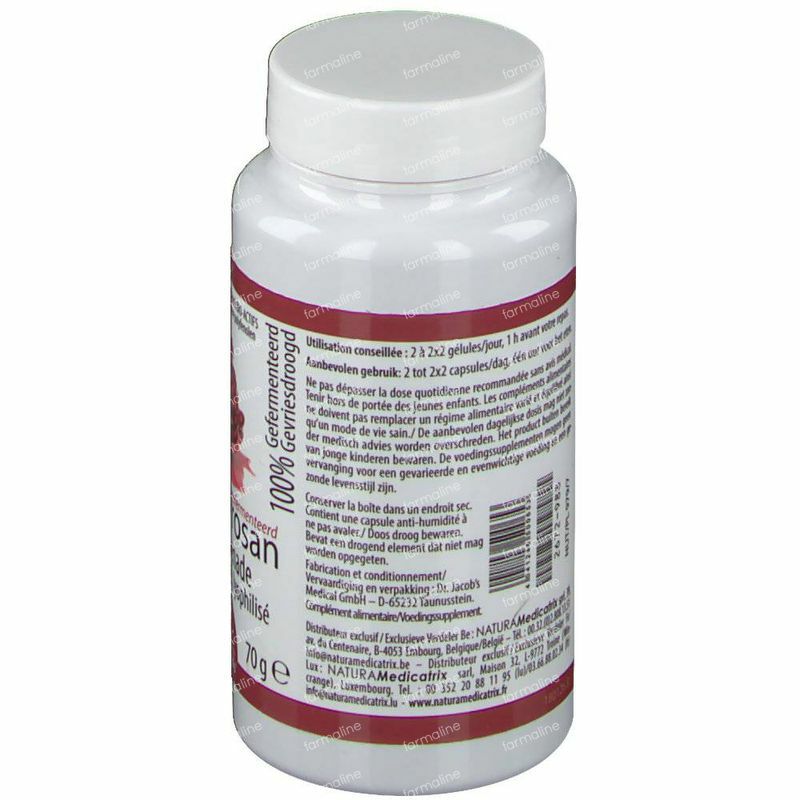 **The freshness of the polyphenolen is through lyofilisation guaranteed.